Some of the Fort Salem earthworks are shown as they appear today. There is a little gem of a place to visit just off SR 131 on Certier Road near Pricetown that on one hand is a great place for a weekend picnic, but is also a point of interest for those with an appetite for Highland County history. The Fort Salem Archaeological Preserve is similar to Fort Hill, located between Carmel and Sinking Spring; Fort Ancient in Warren County; Serpent Mound near Peebles; or Leo Petroglyph in Jackson County, in that their builders didn’t leave a calling card or building plans. Like all the prehistoric peoples of the United States, there are no written records of who they were, why they built these creations or what they were to be used for. According to information that can found at the entrance to the preserve, there have been no scientific excavations at Fort Salem, or the Workman Works, as it is also known. Evidence of this hole, assumed to have been dug by McLean himself, is still visible on the top of the mound. Based on investigations of other earthworks, archaeologists say that sites like Fort Salem can be dated from 100 B.C. to around 400 A.D, during what they call the Hopewell Period, after the Hopewell farm near Chillicothe. The Hopewell culture peoples were known for creating numerous “hill forts” by taking the top of a bluff and encircling it with mounds or earthen walls. But Fort Salem could be much older than that. A prehistoric people living in Ohio during what is called the Adena period from about 800 B.C to 100 B.C. built earthen burial mounds in the same fashion as the Hopewell’s. The Adenas would surround a burial mound with a circular wall and ditch, much like what is found at Fort Salem. While some archaeologists are certain it was built during the time of the Hopewells, others say that the earlier Adena period can’t be ruled out. One thing that is for certain is that Fort Salem isn’t a fort, at least not in the military sense. It probably got that term from the first settlers in Ohio in the 18th and 19th centuries, who gave it that name since it had the typical features of military forts they were familiar with. More than likely Fort Salem was a burial ground for a small local population. The two mounds near the center seem to mark the graves of the dead, while the area surrounding the mounds was considered sacred as well. The wall and ditch that formed the encircling earthwork most likely served to separate the burial ground from the outside world, much like cemeteries of today are surrounded by a low stone wall or fence. Fort Salem had been abandoned for centuries until Salem Township was settled by the first pioneer families. The area was overgrown with trees and brush in 2004, when the Archeological Conservancy was notified that the farm containing the earthwork was being divided into parcels to be sold at auction. They successfully acquired the property a year later, and it is currently listed on the National Register of Historic Places. In order to make it accessible to the public, local property owner William Bear volunteered to clean up the grounds by removing dense undergrowth, cutting out dead and dying trees and reseeding the earthwork, all at his own expense. Bear continued to maintain the preserve and served as its steward, for which he received the Archaeological Conservancy’s Outstanding Volunteer Award in 2008. Fort Salem today is clean and well-mowed with plenty of mature shade trees. A few picnic tables and benches dot the property. It is a tribute to the efforts of a civic-minded organization, and the hard work of one man that transformed Fort Salem into a family-friendly picnic destination, rather than the forgotten overgrown cow pasture it once was. 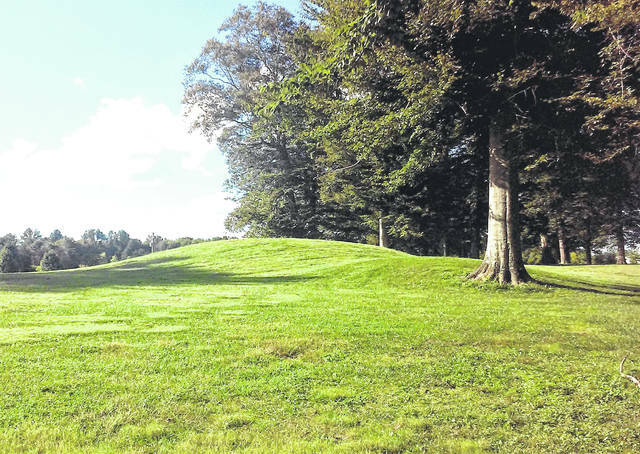 https://www.timesgazette.com/wp-content/uploads/sites/33/2018/10/web1_Fort-Salem.jpgSome of the Fort Salem earthworks are shown as they appear today.